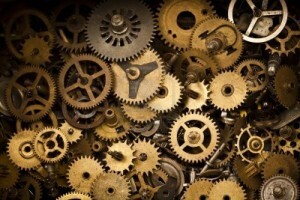 Home Senza categoria Draw gears with PowerPoint: enhances the site's icon. 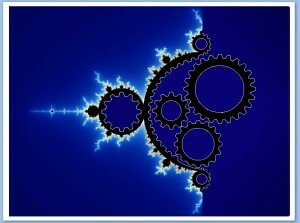 Like any self-respecting site, I wanted to create an image that somehow identifies the concept of a complex mechanism. 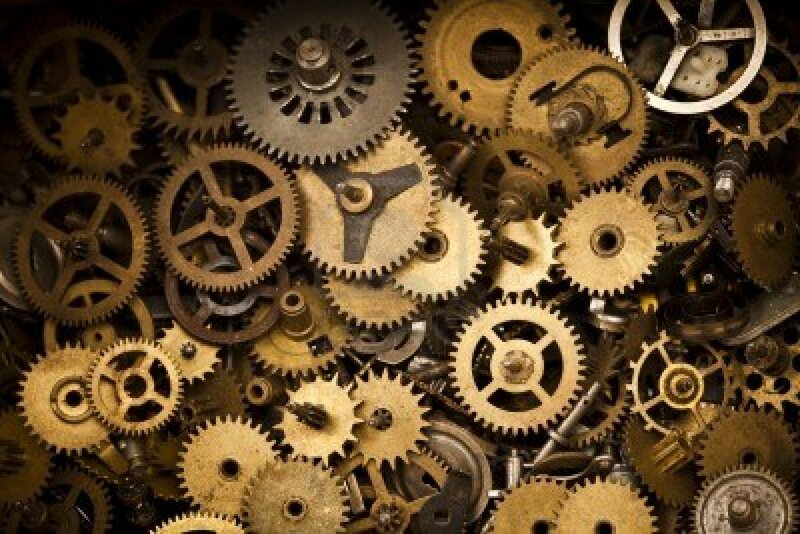 In any search engine, if we do a search for images of "complex mechanism" we get a varied series of figures that report a whole series of gears intertwined with each other, like the inner workings of a clock. Fig. 1 is one of the many images that appear as a result of the search. 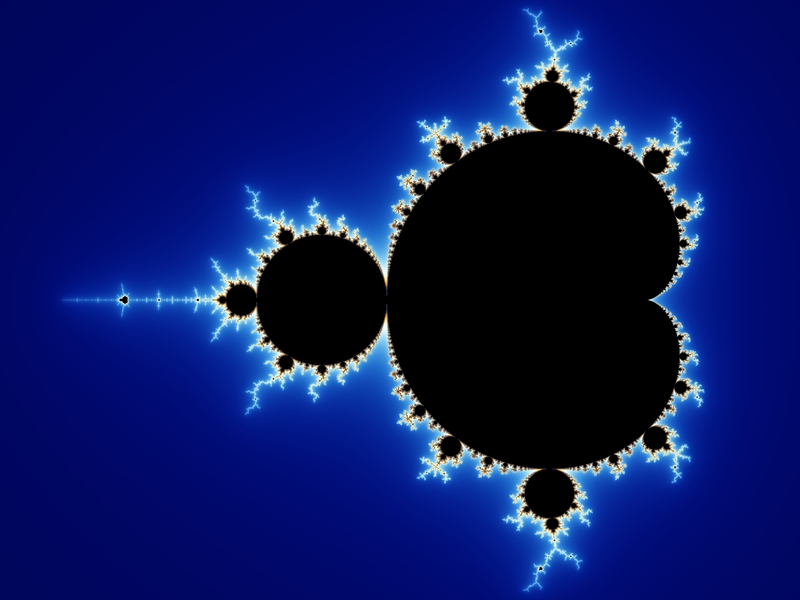 Having worked with fractals in the past, for me there is nothing more indicated than a fractal, perhaps that of Mandelbrodt (I presume the most famous of all), to express a complex system (see Fig. 2). So by doing a Google search for images, I was told: "How beautiful is that of Wikipedia in English, especially for its blue color". 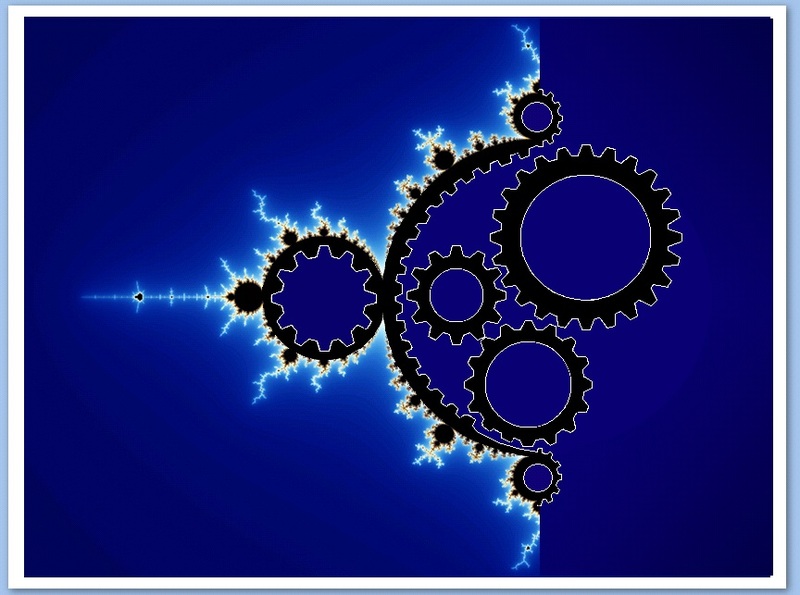 "A gear system is certainly a complex mechanism, but it is too predictable… It is also well defined… instead the complex systems generate fractals that have an enormity of interesting characteristics, similar to the reality that surrounds us… "
So why not express all this graphically? "I wanted to express the notion that going to see things in particular, seemingly very simple, turn out to be themselves of complex mechanisms…"
Since I am not an expert in computer graphics the results are not really exceptional… So do not criticize, rather collaborate to make it better…. My approach was this: perhaps making the figure in black and white (monocolor) also make the figure more stylized. But it must also be easily reproducible and then fiddling with (you will not believe…) Power Point I pulled out what is the icon at the top right of the site. 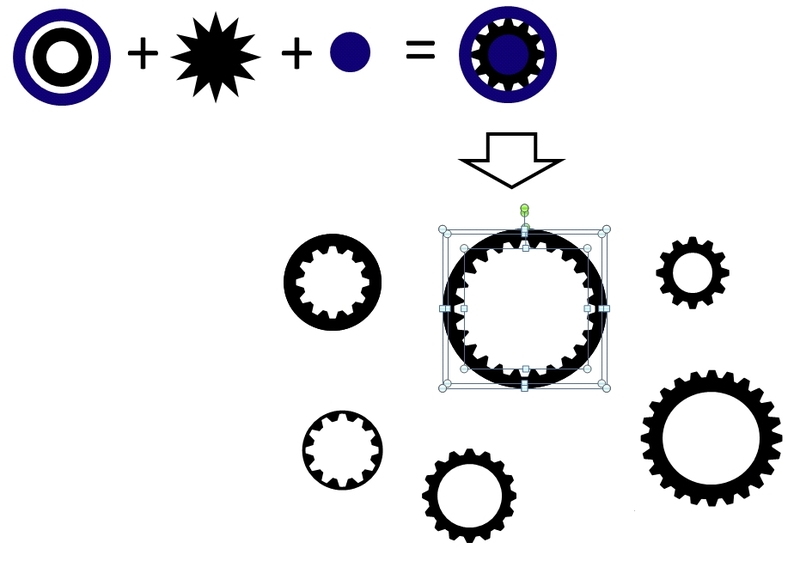 Above all, the 3 sprockets inside the main circumference are too small compared to the original image (Fig 3 with fig 4), they should come out on the right side instead of being totally contained.